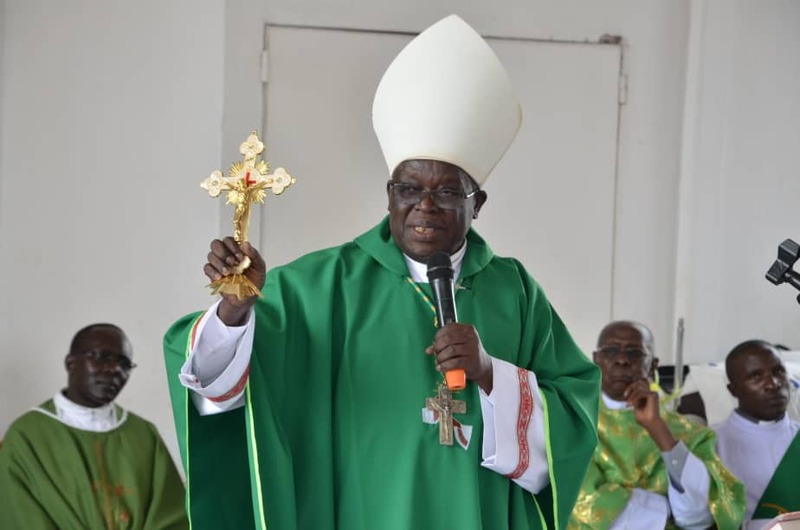 KAMPALA – The Archbishop of Gulu, John Baptist Odama has commended the Catholic laity community of Mbarara and Gulu Archdioceses for focusing on issues that promote unity in humanity. The Most. Rev. Odama was on Sunday, February 24, preaching as he presided over mass for the Archdiocese of Mbarara Development Association (AMDA) community at Kitante Primary school in Kampala. The Archbishop was in Kampala over the weekend to launch awareness activities for the preparations of the Uganda Martyrs Day Celebrations 2019. The activities kicked off with volleyball, netball and football games between Mbarara and Gulu on Saturday, before the mass on Sunday. Archbishop Odama will on Monday, February 25, address a press conference at the Catholic Secretariat in Kampala, to officially launch activities for the 2019 Uganda Martyrs Day celebrations. “What pleases me is seeing all of you investing in activities that unite us in humanity,” Archbishop Odama said on Sunday, encouraging Christians to promote peace. “Let’s promote peace and love for one another; let’s promote peace in families,” he said. 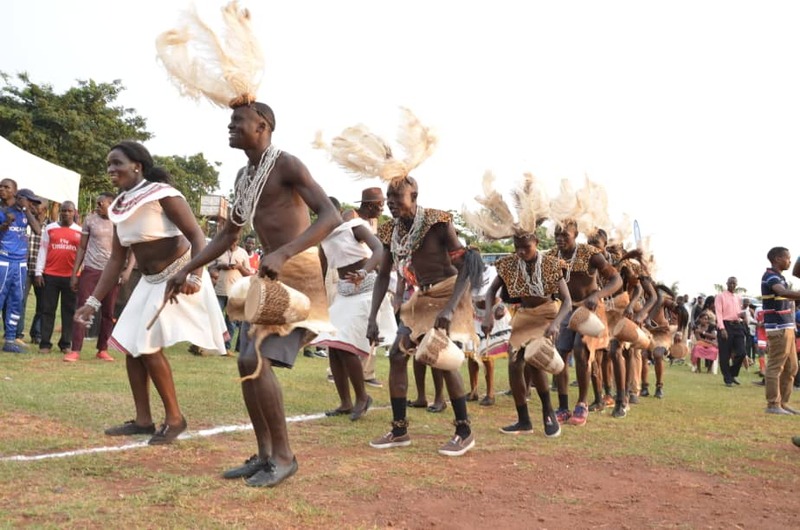 Archbishop Odama said the theme of this year’s celebrations will be: “Obey God Always and Everywhere (based on Acts.4:19), as a rallying call to all pilgrims who annually come to honor the Uganda Martyrs and indeed all mankind, to come back to God and be loyal to Him. AMDA Chaplain Rev. Fr. 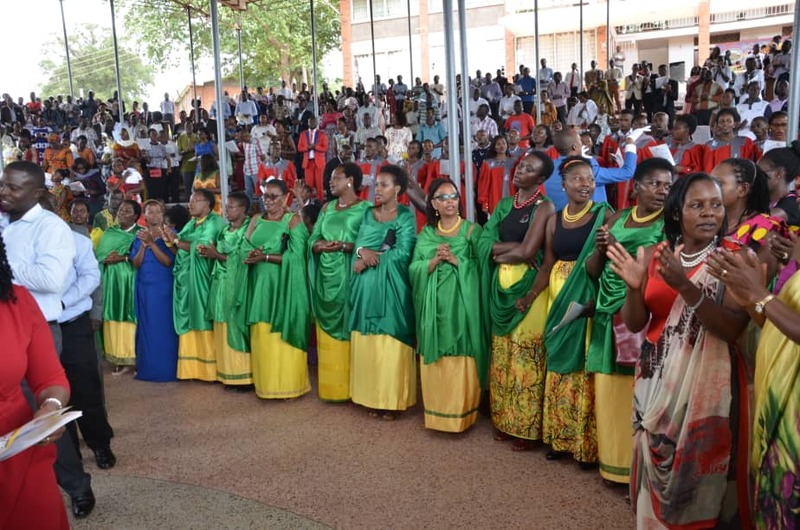 Darius Magunda said the Mbarara Archdiocese community will do whatever they can to support Gulu Archdiocese for the success of the Uganda Martyrs Day Celebratins 2019. The Mbarara Archdiocese community raised UGX30 million to help in the preparations for the day.